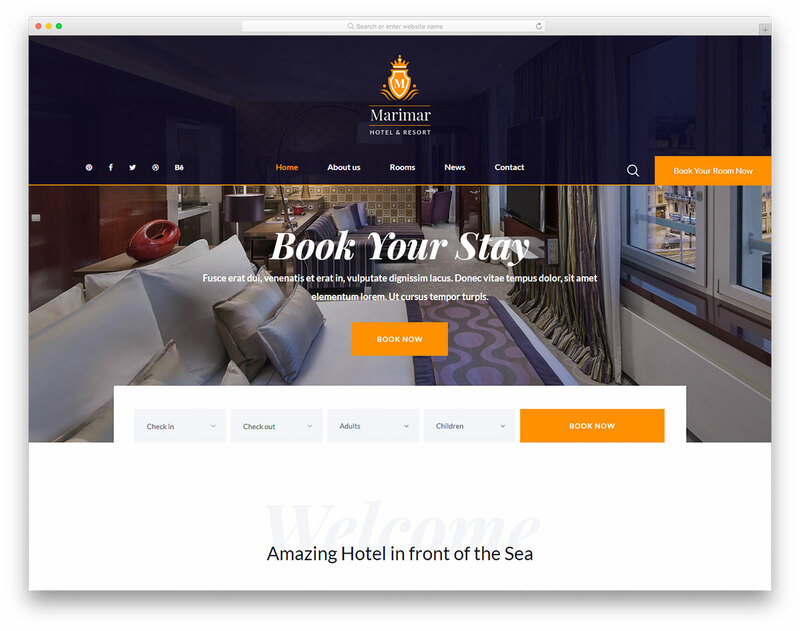 Bright Hotel, as the name suggests, is a clean, minimal and sophisticated free hotel website template. 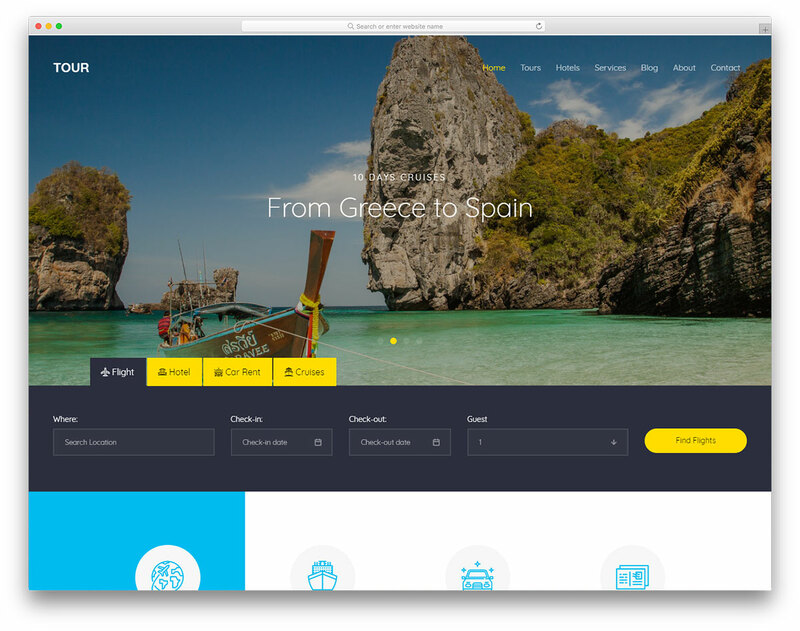 Luxury and boutique hotels, high-end resorts and other lavish accommodation businesses, Bright Hotel is all you need to move on with building your web space. 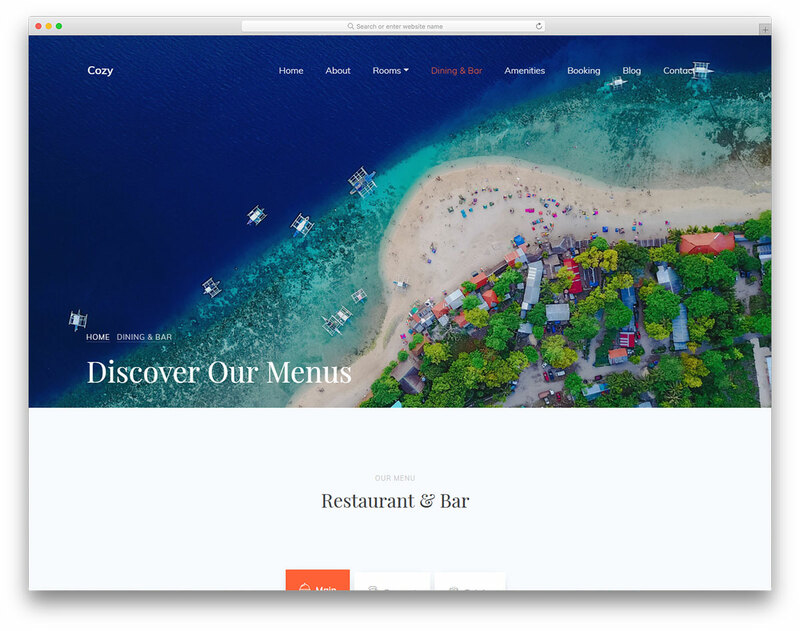 The site canvas is fully mobile-ready, powered by Bootstrap Framework, lightweight and optimized for fantastic performance. 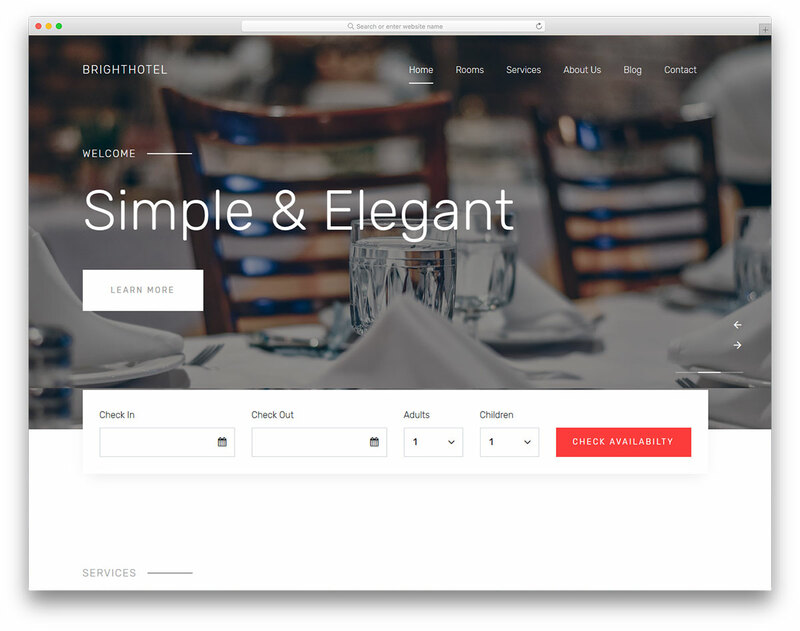 Although a free tool, Bright Hotel still delivers a considerable amount of features and assets. 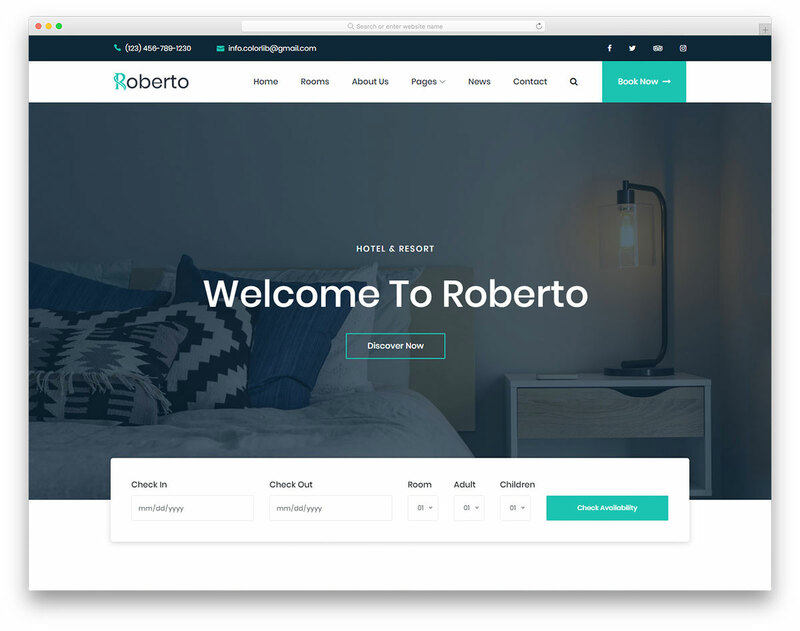 From fully functional home page and other internal sections to working availability and contact forms, the template has it all and then some at your disposal. 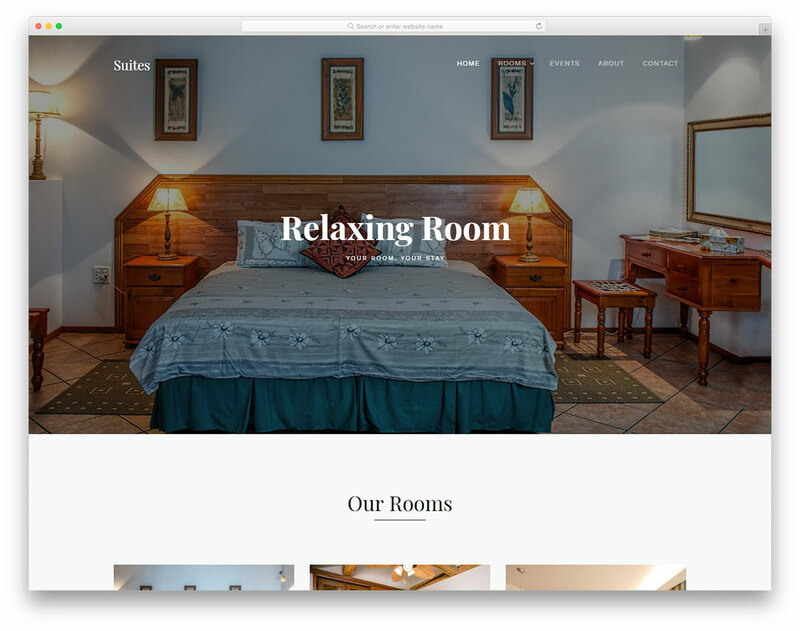 Parallax effect, testimonials section, widget-stuffed footer and sticky navigation are just some of the extra goodies you get with the amazing Bright Hotel. Besides, utilize the integrated blog and drive in even more traffic by implementing content marketing. I want bright hotel template’s free version for wordpress, but when i am downloading it, only static website is coming. It is not a WordPress theme.